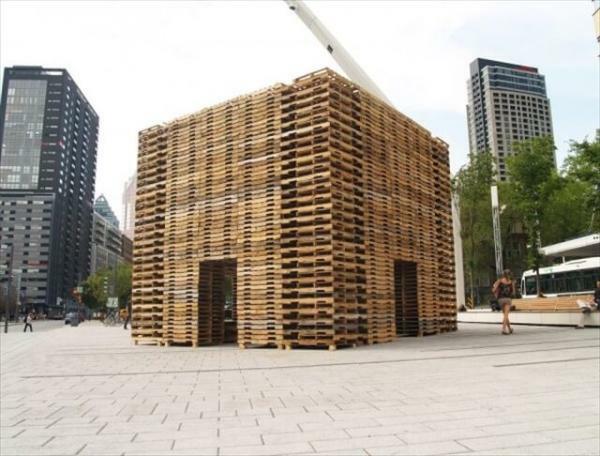 Foret II Pallet Installation is a cubic meditation place, which is made by the huge number of pallet woods. 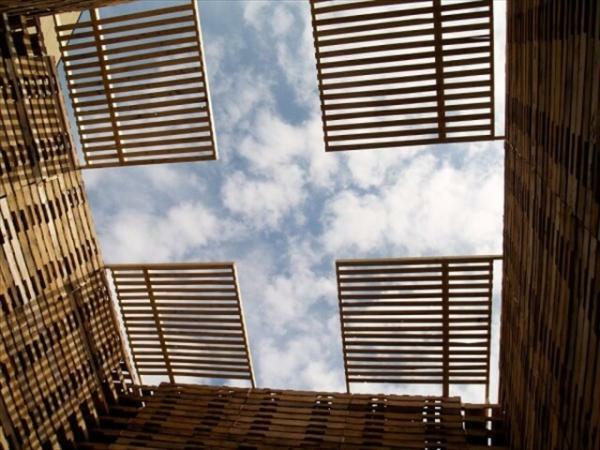 This wonderful project of Forte II is difficult to complete and is also time consuming. You should start this project by making diagram of this project and execute working on this project. Cut the pallet woods in equal length and have curved design in the middle to allow air to enter into the cubical shapes. 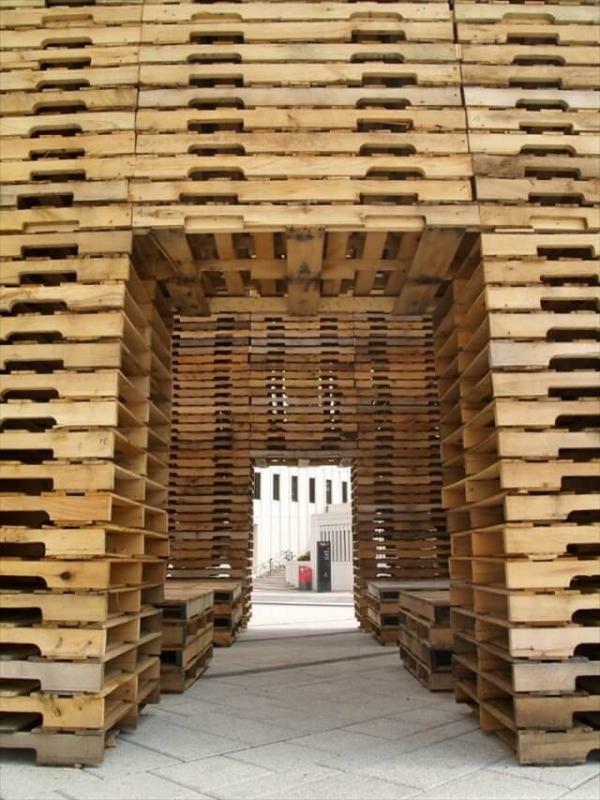 Foret II Pallet Installation was first prepared and presented in the Art festival in Ottowa in 2011. This project is the master piece of the artistic work and shows the talent of its manufacturers. If has four cardinal points of corners, which are artistically made. The design in the center wall is different from the four corners and elegant to look. It can be made in the middle of the park or garden as it square shaped project with doors in center at all sides.